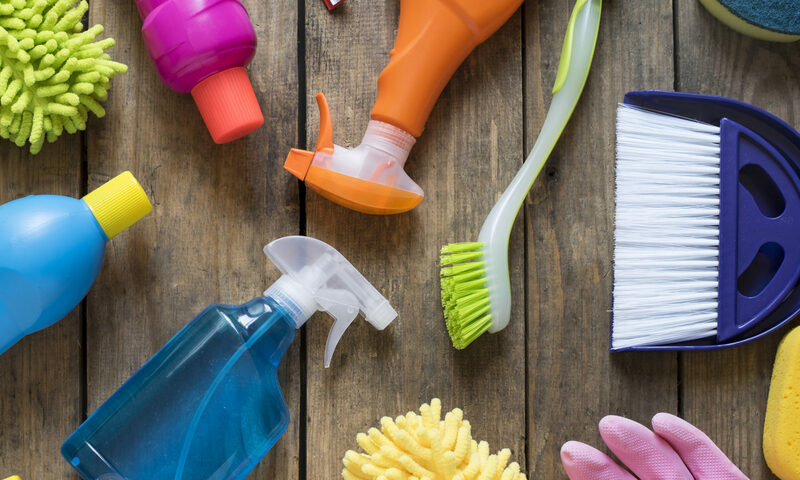 Abrasive cleaners generally use some kind grit to boost their cleaning ability, along with detergents, acids, alkalis and other compounds. Some are in powder form while others suspend the abrasive in liquid. The quartz or silica that constitutes the grit will easily scratch and/or damage softer surfaces such as laminate, fiberglass, stainless steel, etc. Even on very hard surfaces such as porcelain, use caution. Over time abrasives will dull and scratch. However, abrasive colon cleaners will often work where others fail. Remember to rinse well after use to remove any residue. Liquid abrasive cleaners are generally more expensive but are more convenient to use. To remove coffee or tea stains from varnish, rub camphorated oil on. Leave a moment, then wipe off with a dry cloth. Brick is a very porous material. Many paints and coatings “soak in” to brick or concrete, and this can make them difficult to remove. If the paint is primarily on the surface, a good scrubbing with a mildly acidic cleaner works best. But if the paint has penetrated, you will have to do a heavy etching with muriatic acid to remove it. Working with Muriatic acid can be dangerous so make sure you read all the instructions so you don’t hurt yourself or the bricks. There are some specialized coating removers that come in a paste form that work well for this type of application, but they are not widely available at this point in time. The Hydrostrip line from ICI or a product called Masonry Strip available from Napier Environmental Technologies are the products to look for. They are also sold under the Biowash.com brand name found in paint stores like Sherwin Williams, Cloverdale Paint, and major home centers like Home Depot etc. check www.Biowash.com for a 1-800 to locate the product near you. This question was submitted from Malanuk. This is a tough one, we have had success and failure with this problem. Linoleum is, unfortunately, not very resilient (translation…stains easy). I would use a general purpose solvent or even rubbing alcohol, which is usually recommended to remove ink. If it doesn’t wipe off, you may have to use a medium aggressive scrubbing pad (green). Either way, using a strong chemical and scrubbing you will have to apply a wax to the floor to protect at least the area you cleaned. Remember always test a small area first before using a chemical or technique you have not used before on the surface you are cleaning. To remove coffee or tea stains from varnish, rub camporated oil on. Leave a moment, then wipe off with a clean dry cloth. Brush and rinse off as much of the chalk stain from the surface with a sponge. Remove the remaining chalk stain with a damp sponge and Soft Scrub. With a clean damp sponge, remove any remaining Soft Scrub. Contact cement is very common. Usually applied to both surfaces, and allowed to semi cure to a tacky state, the surfaces are then pressed together for a very strong bond. It is commonly used for applying laminate. When on your hands, rub them together, the contact cement will bunch up and fall off. To remove from other surfaces, try rolling it by rubbing with an eraser, or break down the glue using acetone.